The pop culture-focused series will debut later in the year. Comedy Central has found the next occupant of the post-Daily Showslot, and it’s veering away from politics. 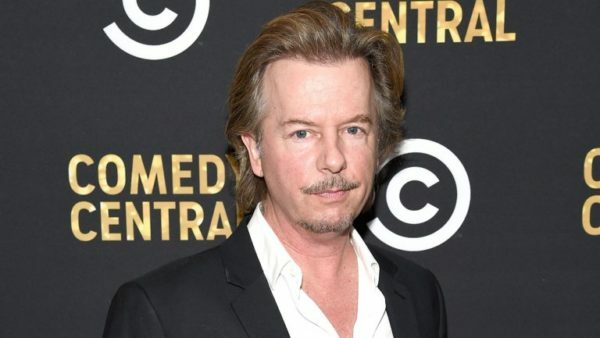 David Spade will host a new nightly series at 11:30 p.m. ET/PT debuting later in the year. Spade and a rotating group of his comedian and celebrity friends will break down the pop culture news of the day. It will also include field pieces that mirror Spade’s Instagram stories (he has 1.5 million followers). The new show marks a return to Comedy Central for Spade, who hosted The Showbiz Show — a parody of entertainment shows like Access Hollywood and Entertainment Tonight — from 2005-07. Comedy Central has yet to find a long-term solution for the slot after The Daily Show since Stephen Colbert left the network for CBS in 2015. The Nightly Show With Larry Wilmore lasted 19 months in 2015-16, and The Opposition With Jordan Klepper ran for 10 months before being canceled. Klepper is at work on a weekly showalso set to premiere this year. Comedy game show @MIdnight filled the time in between those two series and may have pointed the way forward for Comedy Central’s late-night strategy. “As we’re talking about developing a new 11:30 show, we’re focusing more on the pop-culture space and what we’re calling a palate cleanser,” Babineau told The Hollywood Reporter in November.